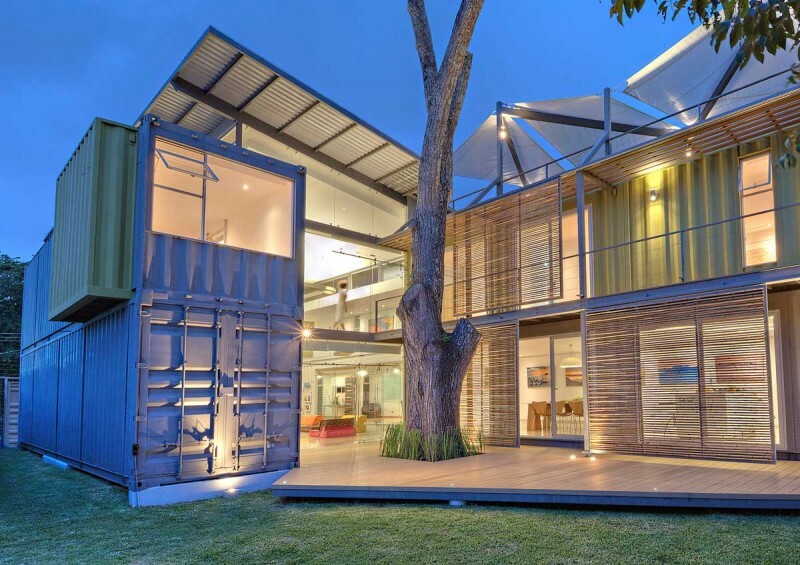 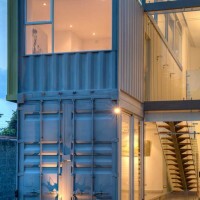 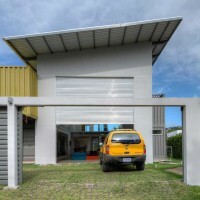 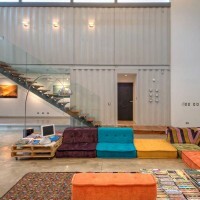 Architect Maria Jose Trejos has designed Casa Incubo, a home made from eight shipping containers, that serves as both a residential space and workspace. 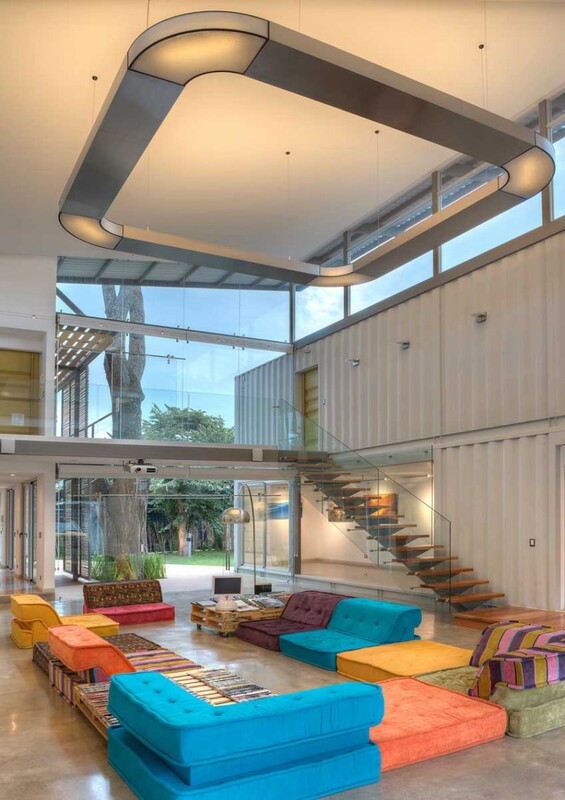 This design was conceived as a modular concept with eight reusable 40’ High Cube containers, united by a central two-story module that serves as the unifying element for the rest of the spaces. 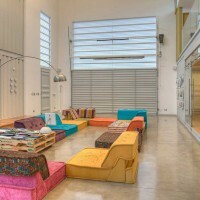 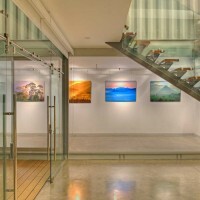 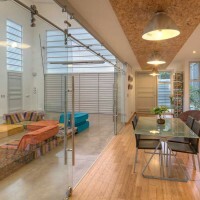 This articulating space is highly versatile and can serve various purposes, both as a social area and workspace: the house “gets dressed and undressed” according to the activities being carried out, with options including a main room, a high- definition audiovisual reproduction space, a photography studio and a publicity studio. 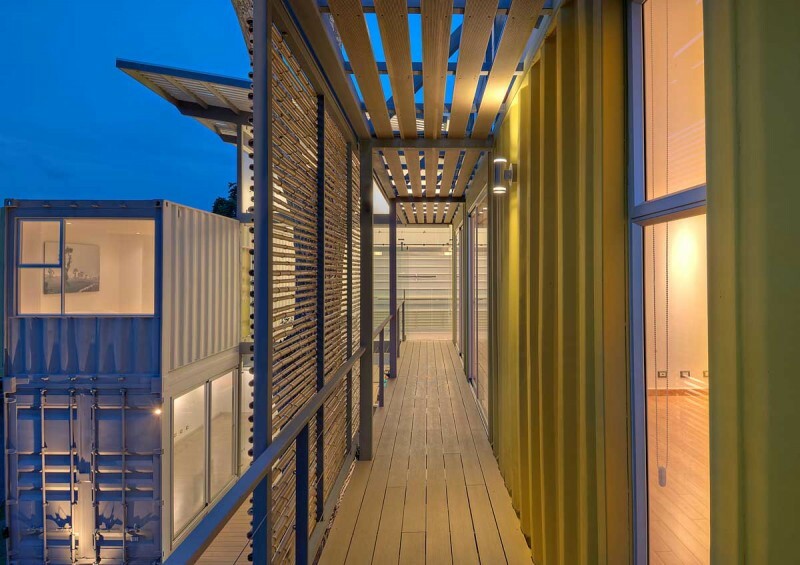 The project is also a result of the “interconnection” of containers that provides an additional surface, so that with four containers, the central module achieves 95 square meters of additional space, significantly reducing the building materials needed. 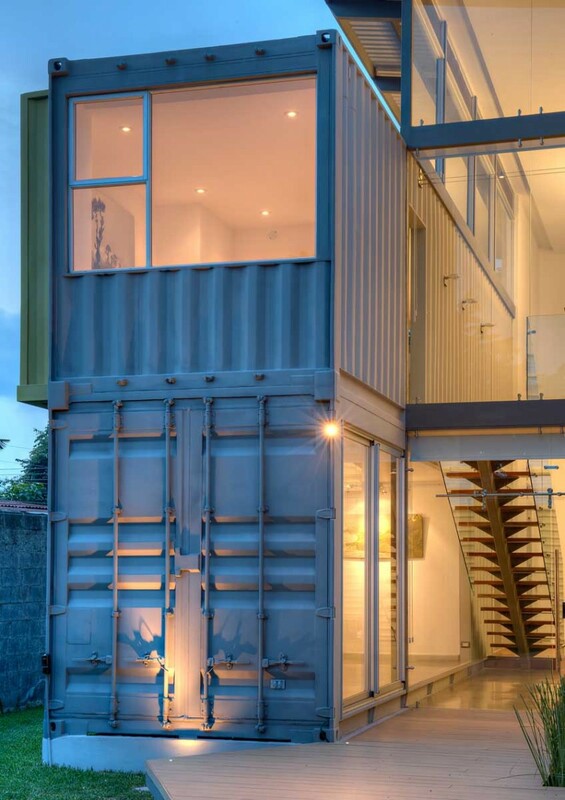 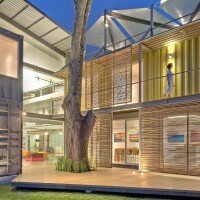 At the same time, one of the second-story containers can shift lightly to one side to create exterior spaces with the use of a terrace and vestibule, with a secondary access on the facade. 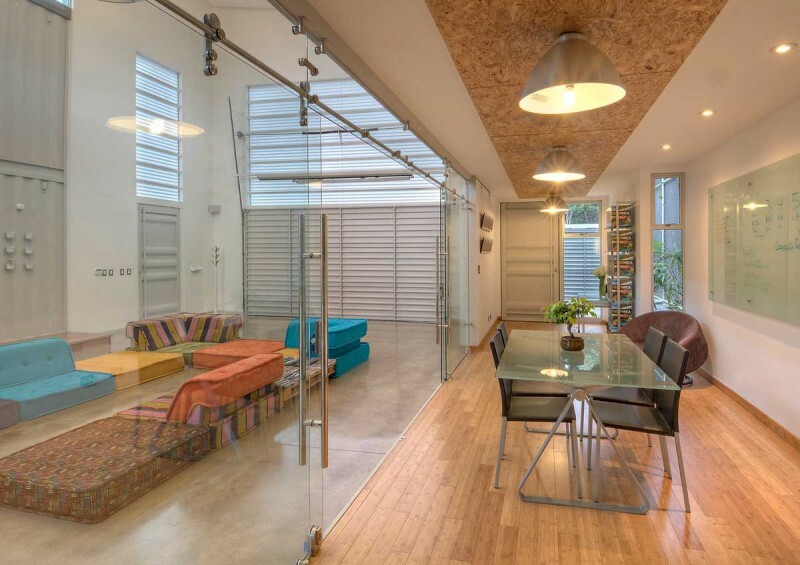 This project questions the need for excessively large spaces, and challenges its occupants to be efficient. 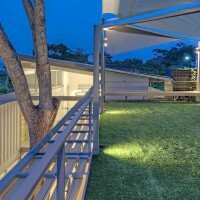 The project’s first level serves as a workspace and social area, while private rooms and space for private study are developed on the second level; the exterior walkway leads to the stairs that connect with the third?floor terrace, an open living space. 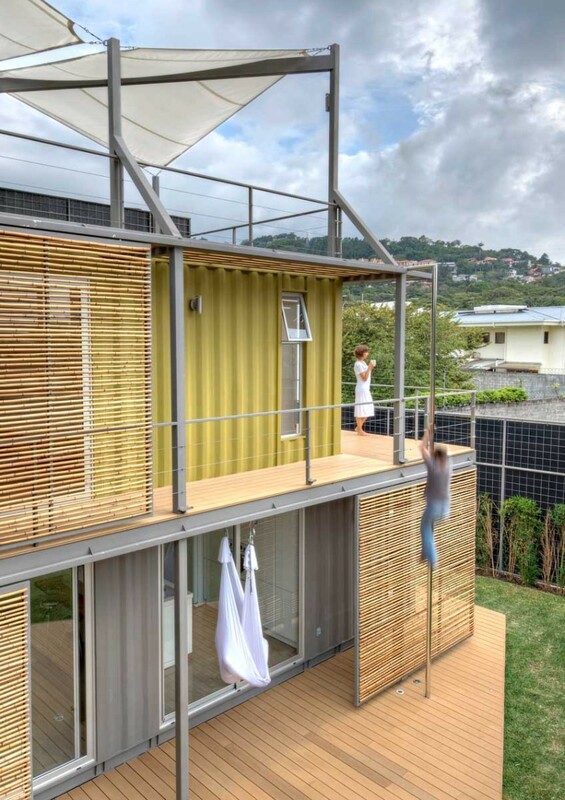 The bamboo covering, or “skin,” on the northeastern facade is composed of mobile panels that protect the inner spaces from solar radiation, and can be manipulated according to the sun’s movement during the afternoon hours. 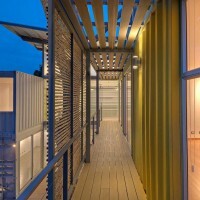 This skin also creates movement on the facade. 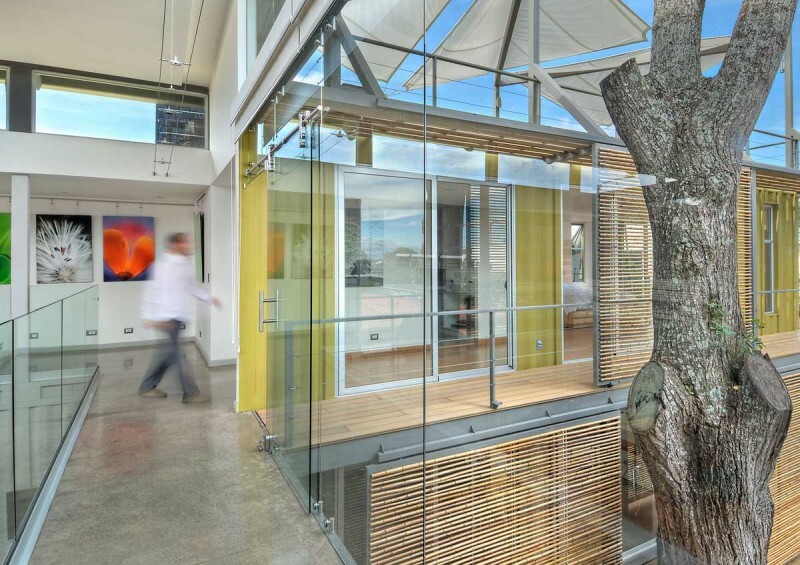 The cedartree, which predates the project on this land, plays a very important role in the placement of the home in the lot; the home was designed so that the tree can be seen from any point of the house. 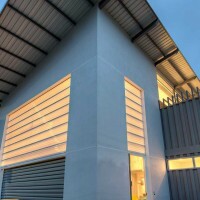 The shape of the house also responds to the weather conditions of this particular location: the central two-story module acts as a cross-ventilation lung, and the western facade is glazed to achieve natural light. 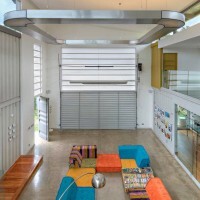 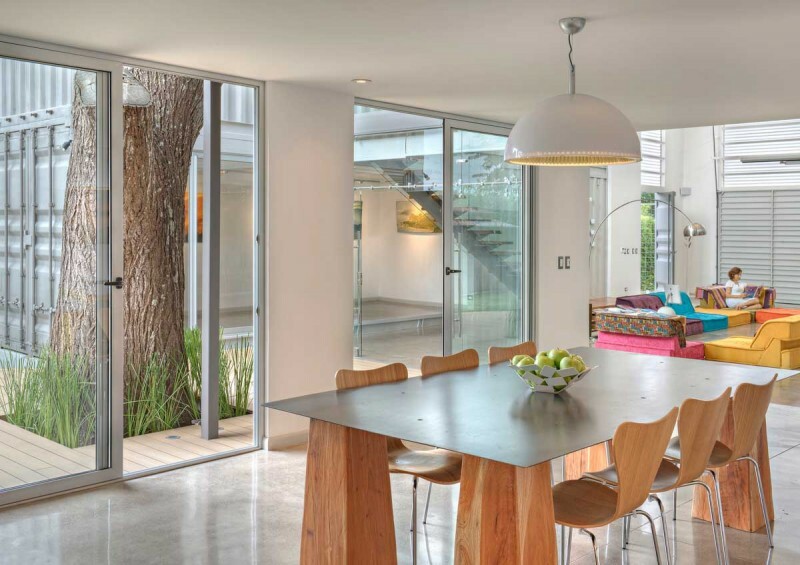 Various considerations were taken into account to minimize the house’s environmental impact, from its design and materials to its energy conservation systems. 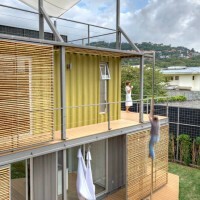 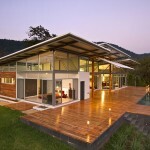 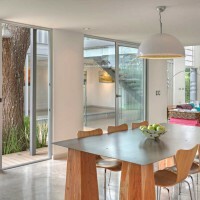 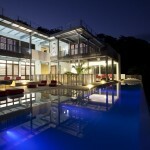 For example, materials were chosen that are renewable, reusable or recyclable, as well as durable and low-maintenance. 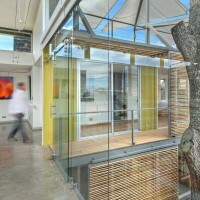 Wood from the branches of the cedar tree was used in stairs and other furniture elements. 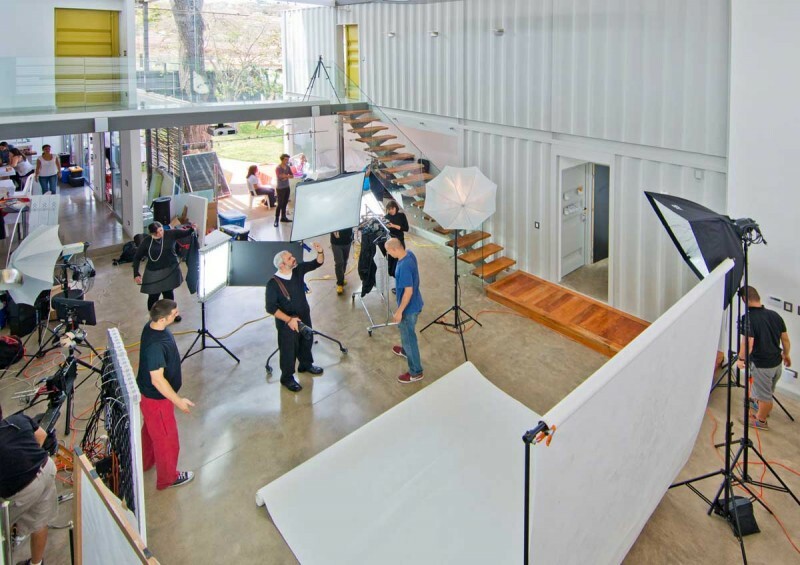 The deck is made of wood from certified renewable sources, mixed with recycled plastic; the flooring is made of polished concrete and bamboo, among other materials. 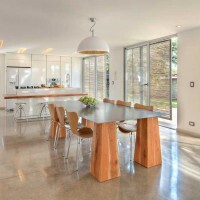 In addition, the house has rainwater collection systems for toilets and irrigation, and is set up for solar panels; most of the doors in the home are reused container doors, its hot water is heated by the sun, the cross-ventilation eliminates the need for air conditioning, and the natural light virtually eliminates the need for electrical lighting during the day. 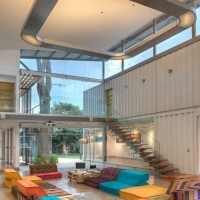 The use of construction containers lends a rich contrast to the design, while also reducing the environmental impact by employing an already existing element, avoiding the CO2 emissions that would have been generated by producing cement and transporting traditional construction materials to the site, not to mention a less invasive earth-moving procedure. 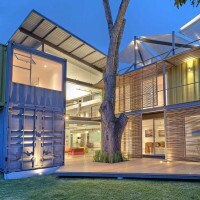 We estimate that the use of the container reduced construction time by 20% and the total cost by approximately 20% as well.